Of course, 14 charts, or even 140 charts that have been hand selected, have no meaning whatsoever. 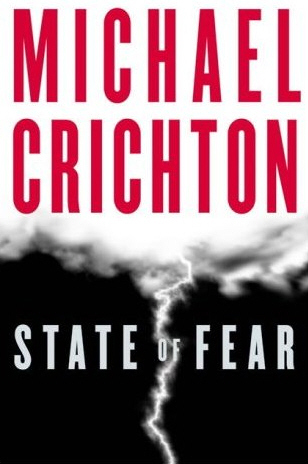 Crichton could pick whatever graphs he wanted to put in his book, so one must assume he did not come up with a random selection. The IPCC, the National Academies and other scientific organizations have said repeatedly that rising temperatures are "unequivocal." Besides, one does not need thermometers to know the temperature is rising: the earth is telling us. Birds, insects, freezing lakes and rivers, glaciers, sea level, flora ranges, blossoming flowers, seasons and dozens more systems are telling us the temperature is rising. These changes have been documented in literally tens of thousands of studies. 14 charts do not tell us anything. 30,000 studies do.